The Super Prestige was not a single race, but a season long competition similar to the World Tour of today. Riders accumulated points throughout the year, with bigger races providing more points. It was a big deal to win because the idea was that the winner was truly the best all round rider of the year. 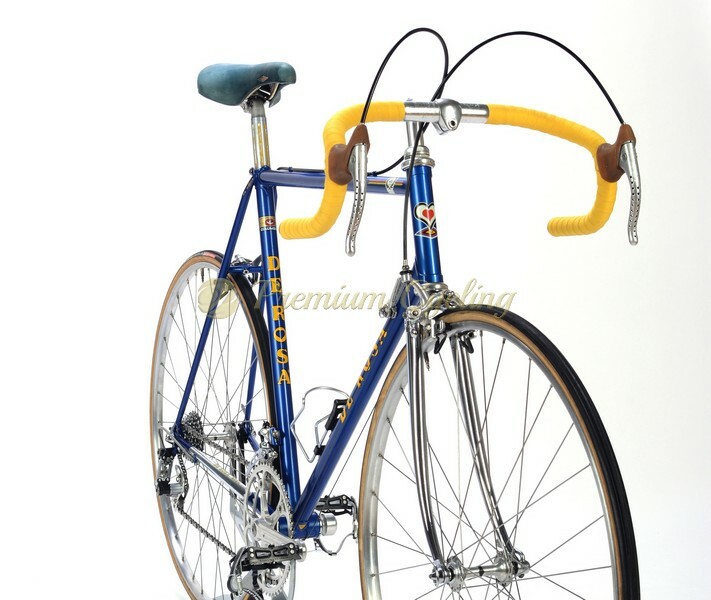 Eddy Merckx switched from Colnago to DeRosa frames because he felt the Derosa’s were stiffer, likely because of specially designed diamond-shape chainstay and thick seatstay. Eddy Merckx won the Super Prestige in years ’73, ’74 and ’75 and those were e also the prime years that he officially rode De Rosa built bikes. 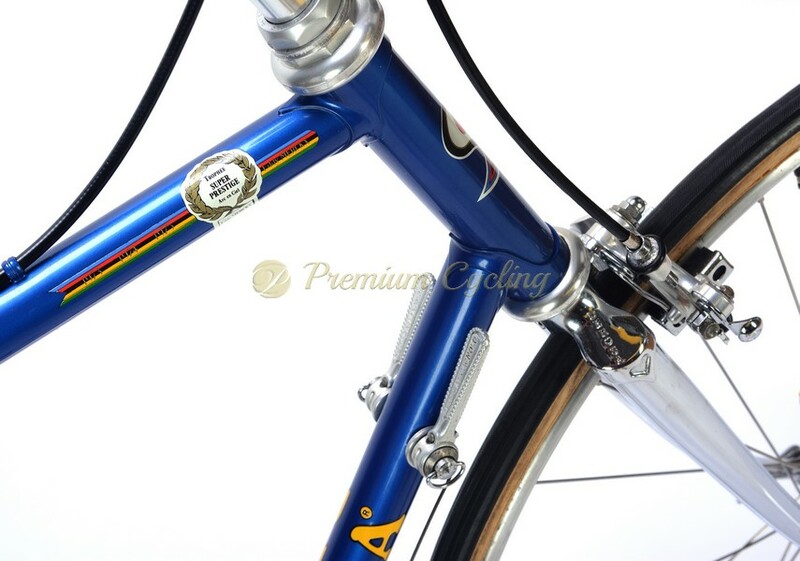 Happy to offer this legendary steel machine, Ugo De Rosa‘s masterpiece from early 1980s. 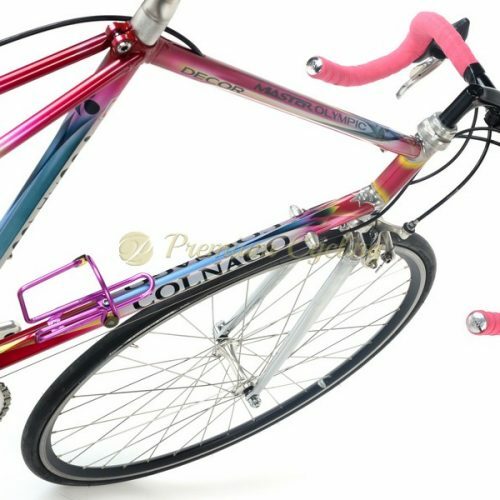 The frame is work of art, made of Columbus SL tubing, featuring the perfection and attention to details to providing the best performance you might expect from early 80s racing machine. Build with complete Campagnolo Super Record groupset (PAT.81), NiSi rims and original 3ttt stem and handlebar. Iconic and very collectible. Ready for any historic cycling event. Condition: Used, but in good/original condition. The frame has no cracks, no rust and is not bend. 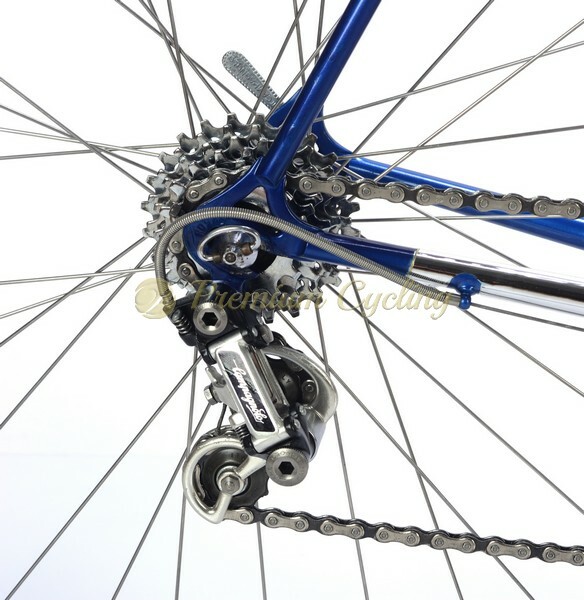 Groupset and wheelset are in good condition.